Step out of your new student accommodation and start your day with a stroll along the famous river Thames, refuelling at the end with a steak and ale pie at The Fisherman’s Cottage Riverside Pub and Kitchen. After, get tickets for a football match at the Madejski stadium and cheer for your local team with friends. In the evening, sample Reading’s buzzing nightlife with a Koko no. 5 cocktail at Milk, then head to Purple Turtle for great DJs and live music. When you feel like a more cultural night out, enjoy a performance at the Hexagon Theatre, where you’ll find everything from comedy shows to classical music. 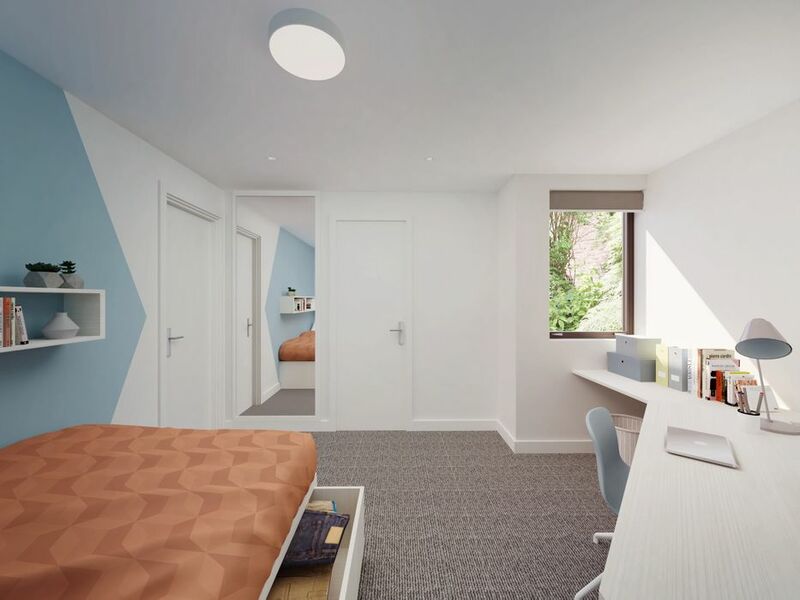 When you make Kings Road Student Accommodation your home, you won’t have to worry about being late for class. Walk to the University of Reading in 20 minutes, or it’s just a four-minute stroll to Reading College. If you prefer zooming around the city on two wheels, there’s secure bike storage back home. Wake up in your eight-bedroom flat and jump straight in the shower. You’ll have your own ensuite bathroom so you’ll never have to wait to freshen up in the mornings. 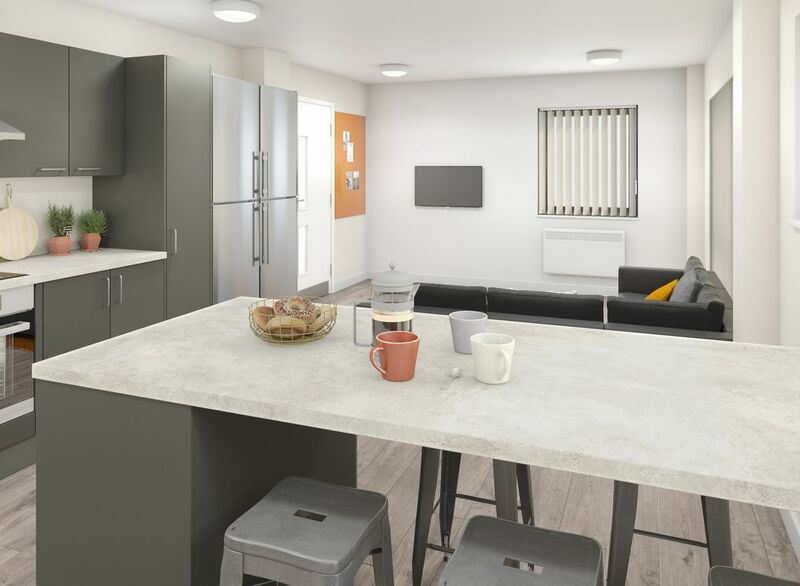 Head through to the fully fitted kitchen and make some breakfast with your housemates before you leave for class. With the option to book as a group, you could even live with seven of your friends! After a long day of lectures, jump in the lift and ride up to your floor. Drop your books on your personal work desk, then log onto the broadband in your room to Skype family back home. Later, get ahead on your latest assignment or simply catch up on your favourite news articles online. When hunger strikes, head over to the local Co-operative supermarket to pick up some supplies for dinner. If cooking isn’t your forte, order a takeaway curry from nearby Star Karahi. Afterwards, get ahead on chores with a trip to the on-site laundry room. 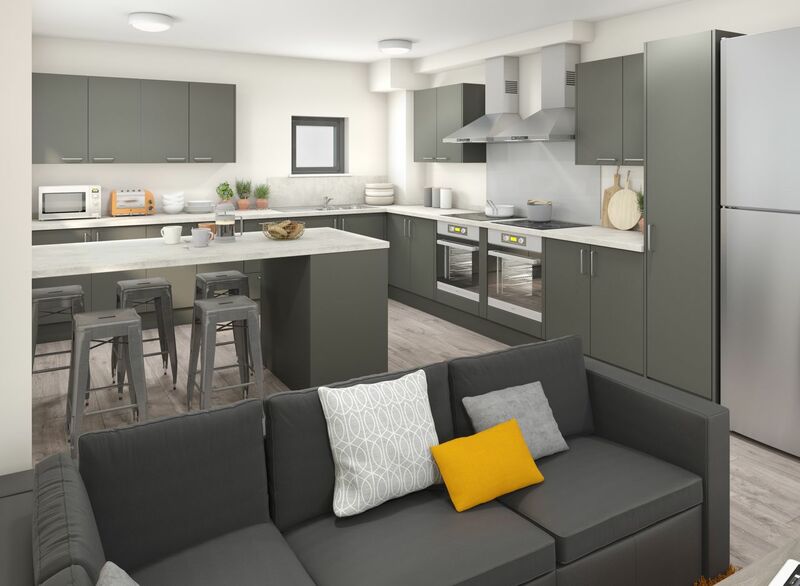 When your washing is done, chill out in the common area with your friends and watch your favourite shows on the flatscreen television. When it’s time for bed, you’ll sleep well knowing that you don’t have to think about bills, as internet, utilities and TV licence are all included in your rent. With free contents insurance, CCTV and secure door entry, you’ll be safe at Kings Road Student Accommodation. The friendly on-site management team is also on hand to help you out with any questions you may have. Wir haben leider keine Unterkunft gefunden, die deinen Wünschen entspricht.Alle Privatzimmer in Kings Road Student Accommodation ansehen. Wir haben leider keine Unterkunft gefunden, die deinen Wünschen entspricht.Alle Ganze Wohnung in Kings Road Student Accommodation ansehen.